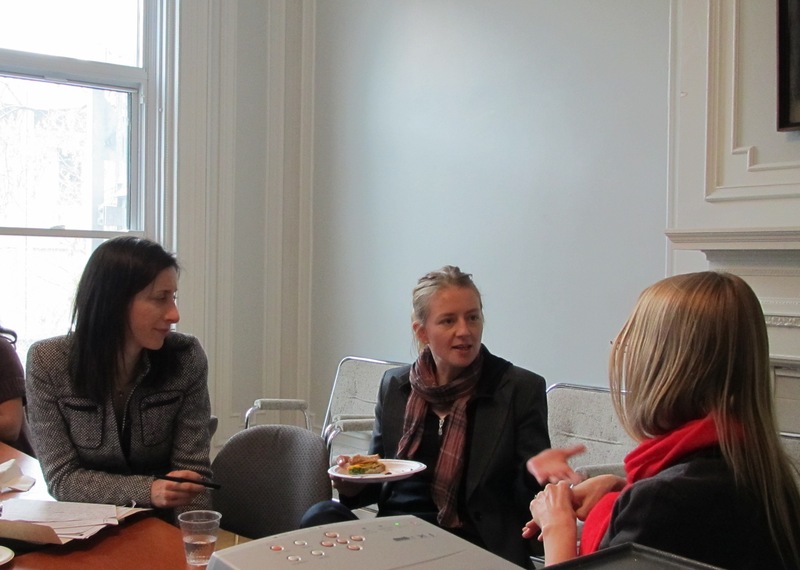 The archivefutures research network really began in the productive discussions held on this day: an invitational research workshop held on 3 February 2012 at the Institute for Gender, Sexuality and Feminist Studies, McGill University, Montreal, CANADA. This workshop provided an opportunity for scholars to present research-in-progress to reflect on questions of intimacy, privacy, politics, posterity and paper. 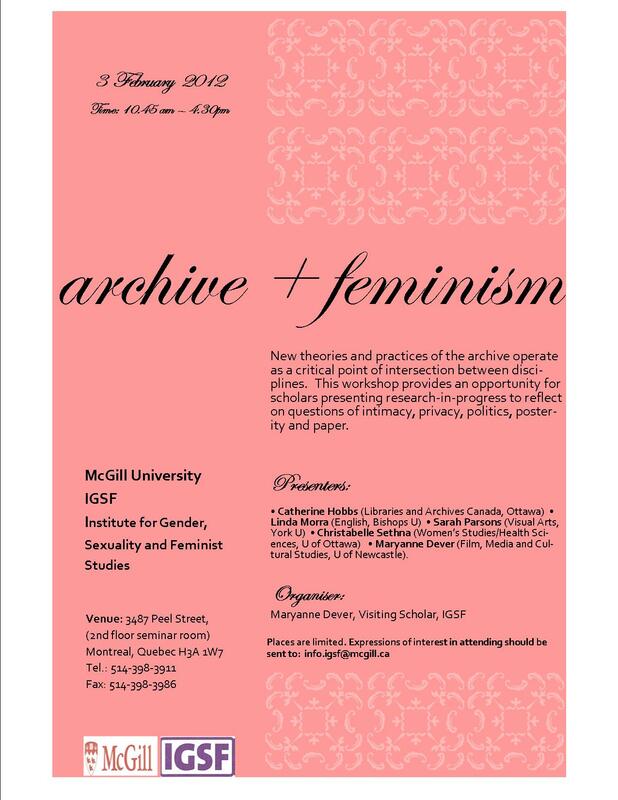 Linda Morra, Mél Hogan and Catherine Hobbs in conversation at ‘archive+feminism’.